Melbourne Comprehensive Eye Surgeons are passionate about giving back to our local community and helping those in need. Everyone deserves a chance. We aim to make the lives of others a little less stressful and a little better by donating to those in need. 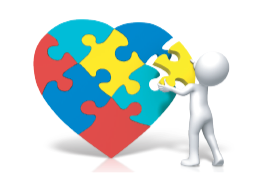 Every month MCES staff will select two charities, local organisations or individuals who need our help. 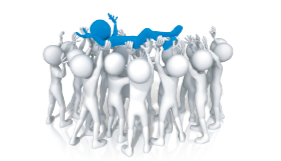 We want you our patients to feel part of this, and nominate a worthy recipient. Become a patient at Melbourne Comprehensive Eye Surgeons and tell your friends and family to do the same. Support us to support the community. We want you our patients to be part of the action. We would love to hear from you. anyone else who needs help. Please complete the details on the cards at reception and leave it with us. At the end of each month our staff will go through all the suggestions and suggest two that best represent the values of the staff and patients at MCES.Ensure you provide your full name so we can let you know if your suggested organisation is chosen. This table can assist you with your drops. Ask a staff member to help fill this out for you. Have you just been prescribed drops? Are you finding it hard to use your drops? Below are useful tips to assist you in using your drops properly. It is important to keep your eye drops stored in a cool, clean place when not in use. Avoid storing them in direct sunlight. If you are carrying them in your handbag, place them in a clean plastic bag. Like all medications, drops should only be used when prescribed to you by your doctor. Throw out drops that are no longer required for use or which have expired.Inserting eye drops may seem difficult at first, but will become easier with practice and if you use a good technique. For some it may be difficult, especially if you live alone. It is important to use your eye drops regularly and exactly as prescribed by your doctor. 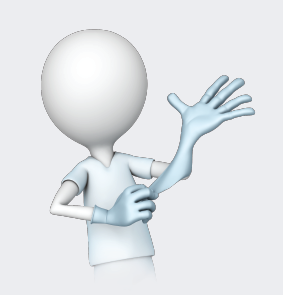 Before opening the eye drop ensure your hands are clean. If at any time you need to wipe your eye do so with a clean tissue. 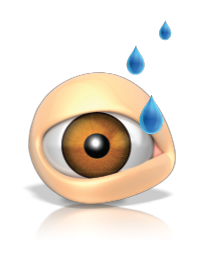 Avoid touching your eye or any part of your eye with the tip of the dropper. When taking the lid off the bottle, lay the lid on its side on a clean tissue. To prevent drops running down into the back of your throat, close your eyes immediately after instilling the drop and gently press onto the inner corner of each eye for 1 minute. While sitting, standing or laying down, tilt your head back and look upwards towards the ceiling. Gently pull down the soft area under the lower eyelid using your index finger to create a pocket inside the eye. Squeeze the bottle, aiming the tip of the dropper in the direction of the pocket. The drop should fall directly within this area. After applying the drop, close your eyes for at least one minute. Do not wipe your eyes or squeeze them tight. 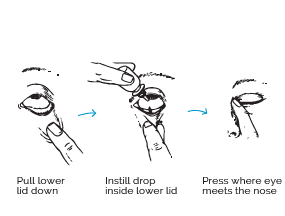 If you use more than one type of eye drop, wait five minutes before applying additional drops. ALWAYS screw the lid back onto the drops straight after use. Store as directed. 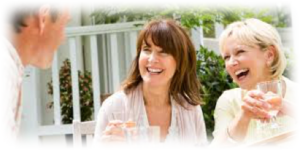 The Medicare safety net provides financial assistance to Australian Citizens who require regular medical care. It only applies to items that attract a Medicare benefit, and only to medical care provided in the clinic. The safety net does not apply to procedures formed in hospital or a day surgery. Many-but not all-tests performed in our practice are claimable through Medicare. If you reach the relevant threshold in a calendar year, you will be eligible for an 80 per cent refund on any eligible out-of-pocket costs for the rest of that calendar year. Consultation fees must still be paid every visit, but you will receive a greater rebate once you have reached the safety net. If you have a medicare card and are an Australian citizen you are automatically registered as an individual. Medicare will keep a tally of your out-of-pocket expenses. It is important to register with Medicare online so that your rebate will be paid back into your nominated bank account as promptly as possible. If you are having trouble we can help you register. If you have a partner (married or de facto) or family, you should register as such. The Medicare safety net is calculated for the family. Combining medical costs for each family member will mean you reach the safety net quicker and get a better contribution to your healthcare. A concession or pension cardholder must reach a total of $656.30. A non-concession cardholder must reach an amount of $2056.30. It is important to understand the above amount is the out-of-pocket spend. The amount you pay is not considered. Medicare only looks at the difference between what you pay and what they give you back as a rebate; that is, the out-of-pocket spend. Once the relevant threshold has been reached, Medicare will automatically rebate 80 per cent of your out-of-pocket costs for the remainder of the calendar year. Further information regarding the Medicare safety net is accessible through Medicare online (see below) or speak to a member of our team. An OCT is a state-of-the-art laser scanner. 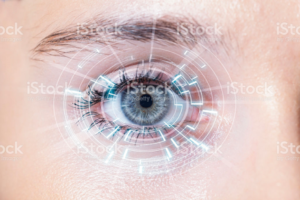 It is a non-contact, non-invasive test used to make a very accurate map of all the layers of the retina at the back of the eye. 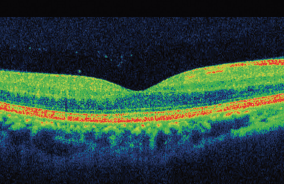 OCT images greatly assist in diagnosing macular diseases and glaucoma. We always use it to check the health of the eye because it can pick up disease that the human eye cannot see. It is particularly useful in detecting early wet macular degeneration and diabetic macular oedema. Why do I need an OCT? An OCT is now considered a standard part of the clinical work-up for an ophthalmology examination. It is able to detect changes in the retina of only a few thousandths of a millimetre. An OCT will detect pathology that is simply not visible to the human eye. In some cases, this will allow early diagnosis and treatment and prevent loss of vision. To protect your vision we perform an OCT on all new patients. 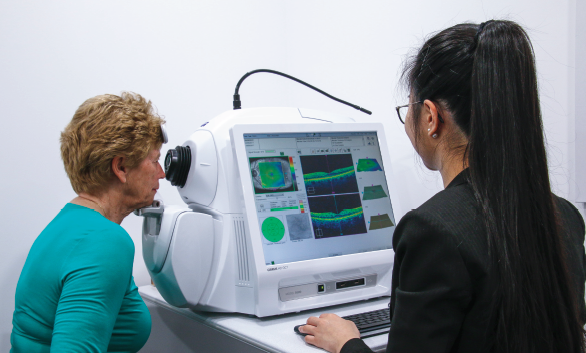 OCT is crucial in diagnosing glaucoma and retinal conditions. It is often important to repeat the test regularly to monitor the effect of treatment. The OCT scan is best performed with dilated pupils. It is totally painless and only takes a few seconds. There are no side effects. It is 100 per cent safe. What is the cost of an OCT? Medicare does not cover the cost of OCT. Most ophthalmology practices charge for OCT. However, at MCES, OCT is included as standard when you take advantage of any of our package deals. Melbourne Comprehensive Eye Surgeons offers holistic eye care. 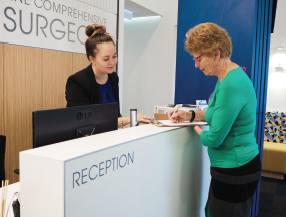 Our modern purpose-built facility has been designed to provide a comfortable and relaxing place for our patients to receive the best possible ophthalmic care. We have the latest, highly specialised diagnostic and therapeutic equipment. The facility is completely integrated using the most up-to-date and state-of-the-art IT available. Our friendly and experienced staff are trained to make your visit pleasant, and we strive to avoid any lengthy delays. Appointments take at least two hours. This will provide time for your eye to be tested, dilated and examined. It gives us time to explain any problem you have and advise on the best course of treatment. We have ample onsite parking. There is a lift to access the building. Diabetics are recommended to bring a small snack. Do not wear your contact lenses. 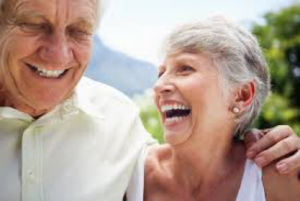 If you are being referred for cataract surgery, you should avoid wearing them for one week prior to your appointment. Most patients will need their eyes dilated. This may make it difficult for you to drive for 2-4 hours after the drops. If possible, avoid driving or bring a driver. The Medicare rebate will not be available without a valid referral. It is important that we know why we are seeing you so we can advise the best doctor for you, and give an accurate estimation of cost. Not all meals at a restaurant cost the same amount. Similarly, not all eye problems take the same amount of time or require the same investigations. 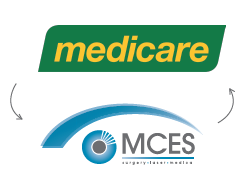 At Melbourne Comprehensive Eye Surgeons we have developed packages for the most common eye complaints in order to provide you with the best possible value. 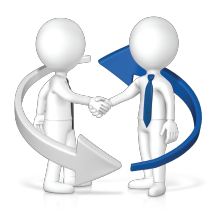 We can only offer a package deal if your referral makes it clear what condition you have. All payments are settled on the day. There are no exceptions. We do not bulk bill-please do not ask. Please advise us with at least two business days notice if you cannot make your appointment. The best way you can thank us is to recommend us to your friends. What is ‘Refer a friend’? A ‘Refer a friend’ card can be given out to your friends and family. It’s a way that you can help us promote Melbourne Comprehensive Eye Surgeons, and the best way you can help us grow. Located on the reception counter are ‘Refer a friend’ cards. You can take one or many of these cards home with you. Whether you are only visiting us on the one-off occasion or having to see us regularly, we can all benefit from this program. Staff will write your identification number on each card you have taken. Hand out one card to each of your friends and family members. Never write your own name on the card. This is to be kept confidential in case the card is lost. Your identification number is specific to our medical program, and is not related to other programs. If your friend or family member presents the card when they arrive for their appointment at Melbourne Comprehensive Eye Surgeons you will receive a reward. If you refer a friend you will get. A 20 per cent reduction in the out-of-pocket expenses for your next consultation (not including surgery). an invitation to our wine and cheese evening held in the clinic, including a lecture on the latest updates in eye care delivered by our doctors. For further information about the ‘Refer a friend’ program please speak to a staff member. Access: a right to access health care. 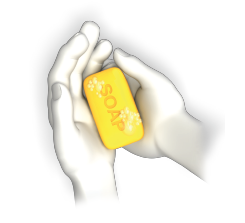 Safety: a right to receive safe and high quality health care, or to refuse treatment. Respect: a right to be shown respect, and to be treated with dignity and consideration. Communication: a right to be informed about services, treatment, options and costs in a clear and open way. Participation: a right to be included in decisions and to make choices about your health care. Privacy: a right to privacy and confidentiality of your personal information. Comment: a right to comment on your health care, and to have your concerns addressed. To treat staff and other patients with respect. To provide your health practitioner with all relevant health information, including your medical history and all medications you are currently taking. To advise staff of any change in your condition or problems with your treatment. 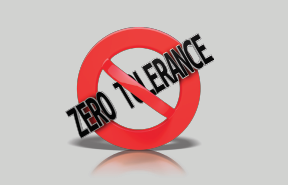 ‘To get respect, give respect, don’t make demands of others-ASK.’ Carthage BuckleyThe practice has a zero-tolerance policy for aggressive and violent behaviour. We have the right to withdraw provision of services from patients who are aggressive to our staff. You will be asked to leave the premises and police may be called. make a complaint about an entity covered by the Privacy Act, if you consider that they have mishandled your personal information.